Austin Digital Design Agency takes time to carefully design strategies that will solve your unique challenges, help you to achieve goals, and keep you at the forefront of your industries and markets. We can accomplish these things for companies that have been long-established or just a startup. Smart campaign strategies are able to make a significant impact on your business. The whole point of these types of campaigns are to create loyal and engaged customers. These are customers that will make perfect brand advocates and help to build active communities that remain loyal to your company. Brands need to know who they are in order to display this to customers. Companies need to know what their beliefs are, what their goals are, what they stand for. They need to be able to stand by these beliefs when times are rough. They need to know who they are to effectively communicate this with customers, establishing themselves as leaders in their industry. We create marketing strategies that are just as unique as your business is. Our marketing strategies will help your company to stay relevant, delivering real results that your business is going to see. The media industry is always evolving, and you need a strategy that can keep up with it. Austin Digital will work with you to design integrated strategies, including immersive, traditional, and digital media. These can effectively reach your customers. Austin Digital Design Agency will assist you with improving your efficiency, increasing your profitability, and streamlining your business processes. We have in-depth knowledge of how to leverage digital technology for maximum growth. Your content can make or break your business. Your content needs to be engaging, no matter what platform they are on. We can craft content strategies for social, digital, social, and traditional channels. Social media campaigns have a huge impact on the success of your business. Austin Digital Design Agency manages the social, media, and audience to meet your goals and objectives. 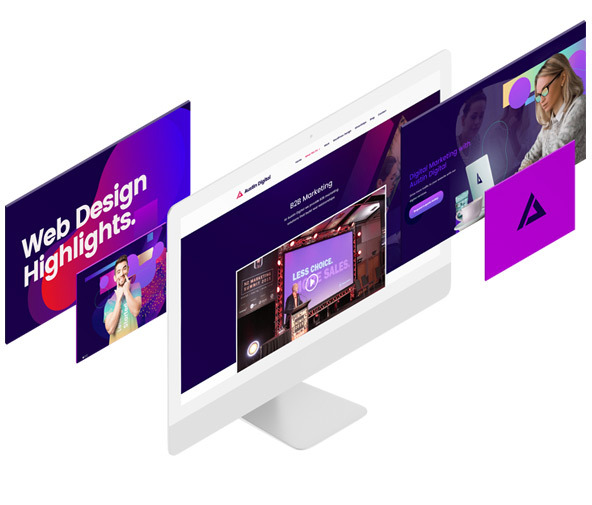 When you work with Austin Digital, we carefully create immersive and interactive website experiences for your customers to ensure that they are engaged. We have a solid reputation for designing amazing websites. We have a unique process and approach to creative innovative and intuitive websites that are unlike any you have ever seen. We have a lot of experience in developing websites, having worked with hundreds of different businesses. Whatever the size, purpose, or scale we can guarantee user-friendly sites. People are using their mobile devices for everything these days, which means your website needs to be responsive on mobile and desktop devices. We create solutions for all types of mobile devices, including wearables. We can create the perfect ecommerce solutions for your individual business, whether you are a retailer, charity, or any other organisation that wants the flexibility of an ecommerce site. Austin Digital Design Agency specialises in building complex bespoke solutions for our clients, including gift registries, auction platforms, and many other needs that your business may have.